Phantasmat: Déjà Vu is rated 2.9 out of 5 by 7. Rated 4 out of 5 by cathybobcat from UNIQUE IN ITS OWN WAY Did the demo for this SE and also the CE and decided to go for the CE. I don't really like to compare games because they all have differences in their own way. This is in a class by itself, adding much to the imagination if one is open to it. I thought the story was far out and convoluted, but that's part of what distinguishes it. It is the gameplay that matters to me more than the story and I liked the way this game flowed, as well as the challenge factor....not too easy....not too hard. For the most part, it held my interest until the end of the game, including the Bonus Chapter. 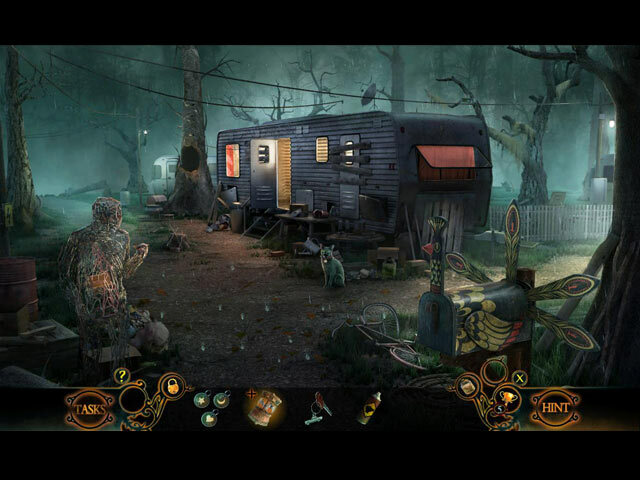 The graphics are atmospheric and typical of this series, adding to its eeriness and mystery. Even though dark and foggy, they were excellent. I became immersed in it. There is a fair amount of a variety of HOS which I really enjoyed. Effort went into some of these both in artistry and challenge. I would have like more of them. 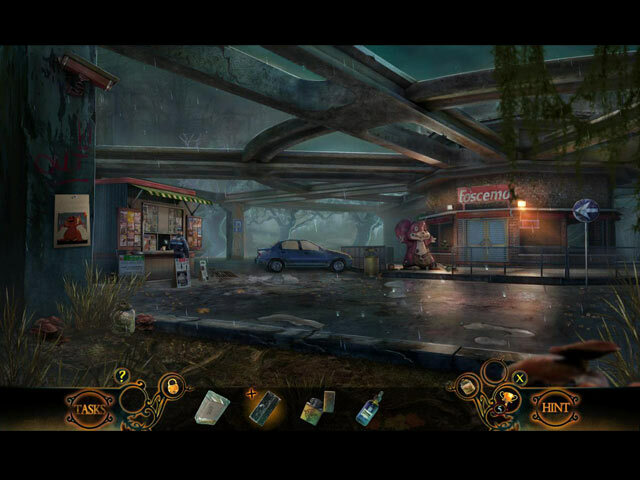 There are more puzzles than HOS, but it was in balance with the rest of the game. Some of them I liked and some I skipped. One thing I never like with many puzzles is when they are very time consuming (pain in the brain), which can make a game appear longer than it really is. You can replay 19 HOS and 21 puzzles....and some of these, I feel are replay worthy. You collect 36 brains in a jar...humorous. There are 16 morphs to collect...and there was a morph hos in the main game that was different, not taking up too much time. I never care for waiting around forever for something to morph. The bonus chapter was short, but enjoyable. It is not necessary to the main game, which I thought ended abruptly, but either version of this is fine and stands on its own. I liked having the extra gameplay and don't buy too many CE's. With the addition of the SG, as well as the additional extras, I am pleased to have the CE version and think it is worth it. Rated 4 out of 5 by Pilot1 from A game worth playing . . . for a change! I played the standard edition demo and, while there were features found in many other games, there was enough that was different to intrigue me. Then I downloaded and played the collectors’ edition demo, and bought it. If you’ve read some of my other reviews you know I’m not a big fan of CEs, so the fact that I bought this one should tell you something. Okay, I’ll admit that I used a freebie coupon, but still, me getting a CE game is an unusual event. The play-by-play has already been well described by another reviewer who always does a good job with that task, so I won’t reinvent that wheel. The graphics, background sounds and music, are all up to the standard we have come to expect from Eipix, and definitely enhanced the gaming experience. There are the usual collectibles and morphing objects in each scene and, for the most part, they are not too difficult to find. There are no helpers or required gadgets which, apart from Elf, I do not care for at all. This is a spooky game that, somewhat illogically, can be played using logical thinking to move from one scenario to the next. If you get stuck, the interactive map is an excellent and easy to use tool. Although I do recommend this game, my usual caveat applies —play the demo, either one, and decide for yourself. Rated 2 out of 5 by roaming from E for Effort? For about the first 10 or 15 minutes of the demo, I was fairly impressed. I was thinking wow, I really like this game. Unfortunately, things went downhill from there. 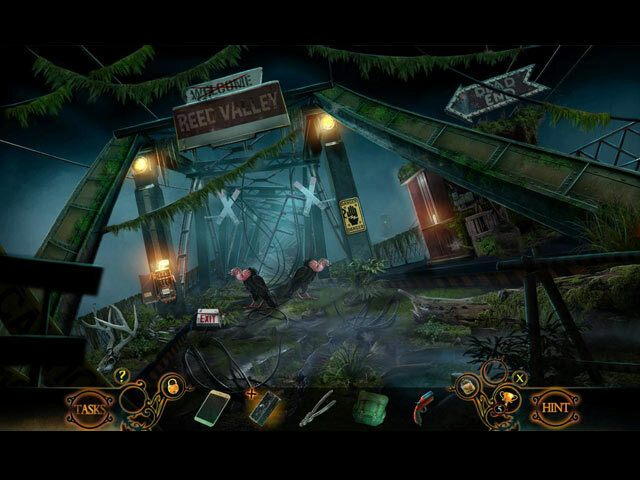 When you have to repeatedly use hints to find hidden objects, something is wrong. I won't even mention the puzzles, and the story line devolved into something like Dr. Jekyll and Mr. Hyde Meet the Swamp Monster. The graphics were interesting and well done is about the best thing I can say about this game. Rated 2 out of 5 by KarenG118 from Too scary for me I have loved every single Phantasmat until this one. This is WAAAAAAYYYYY too scary and evil and dark for me. Try it for yourself and see, but I can't possibly recommend it. Rated 2 out of 5 by SparkleGlow100 from Disappointing once into the game... Wonderful game to begin with. For probably a whole hour everything was 5* quality. What follows then, is a SERIOUS nose-dive in the STORY-LINE, which I would award a zero if possible. It became impossible to continue playing. Waste of money for me. Rated 2 out of 5 by Majestyx12 from Had Fun in the Trial I thought the game went down hill after the trial. The hops are dark. I had my monitor on 100% brightness and it was still hard to see them. Some are very cluttered. I don't like limited sight hops. I didn't like this + that because I'm not good at it. I liked the creepy doll puzzles and the window hand puzzle but that was about it. The window puzzle didn't need to have it held up to the box, I had it. I liked the 13 morph hops. I couldn't get the mole game to work. I know there was some thing I couldn't skip. I counted 14 hops. 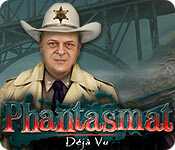 My favorite Phantasmat game is Behind the Mask.